— In a skillet on medium heat, sauté potatoes, onion and garlic in olive oil. Season to taste and cook for 5 to 8 minutes. — Place the potatoes in a large salad bowl, add arugula and lemon juice; toss delicately. FINALE — Add a drizzle of olive oil and fresh ground black pepper. 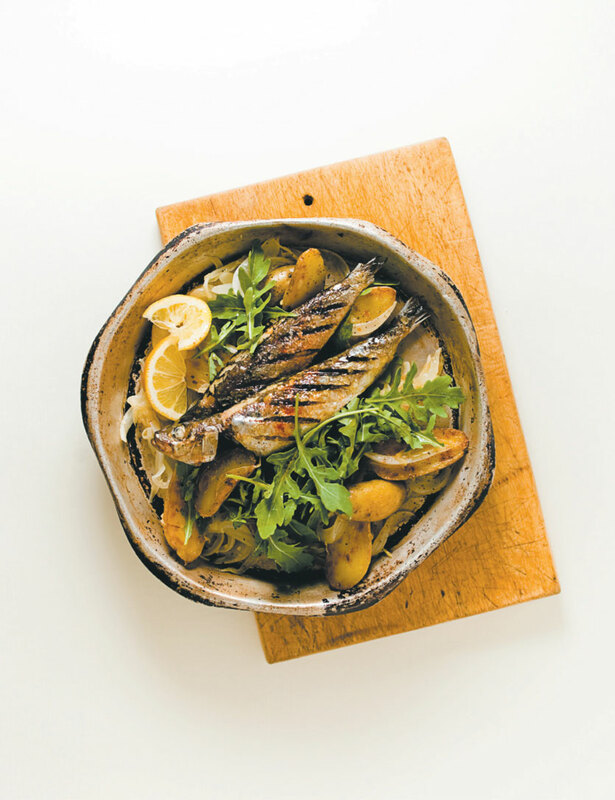 TRICK — Ideal served with grilled sardines, tuna steak or any smoked fish. Replace the lemon juice with a balsamic vinegar and garnish with fresh goat cheese, grilled pine nuts, olives, sun dried tomatoes, artichokes, etc. NOTE — For brunch, serve the chiffonade with soft-boiled eggs and lardons. You may also prepare this dish using Greek style potato leftovers.